We love running and want you to share our passion! We believe that running makes people the happiest and healthiest versions of themselves. In our store, you’ll find products to help you with your running journey. And, if you have questions about running, our knowledgeable staff is ready to answer them! 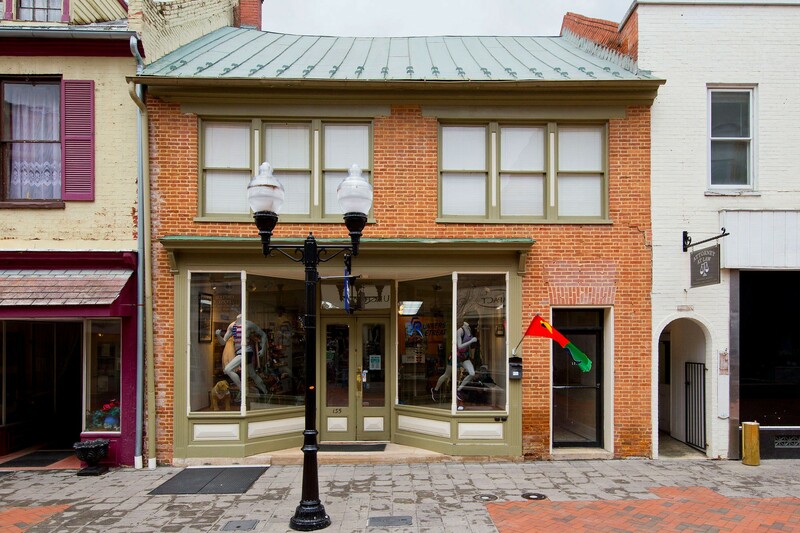 Nearly 20 years ago, Mark Stickley quit his job at an engineering firm to start a running shop on the Old Town Winchester, Virginia. 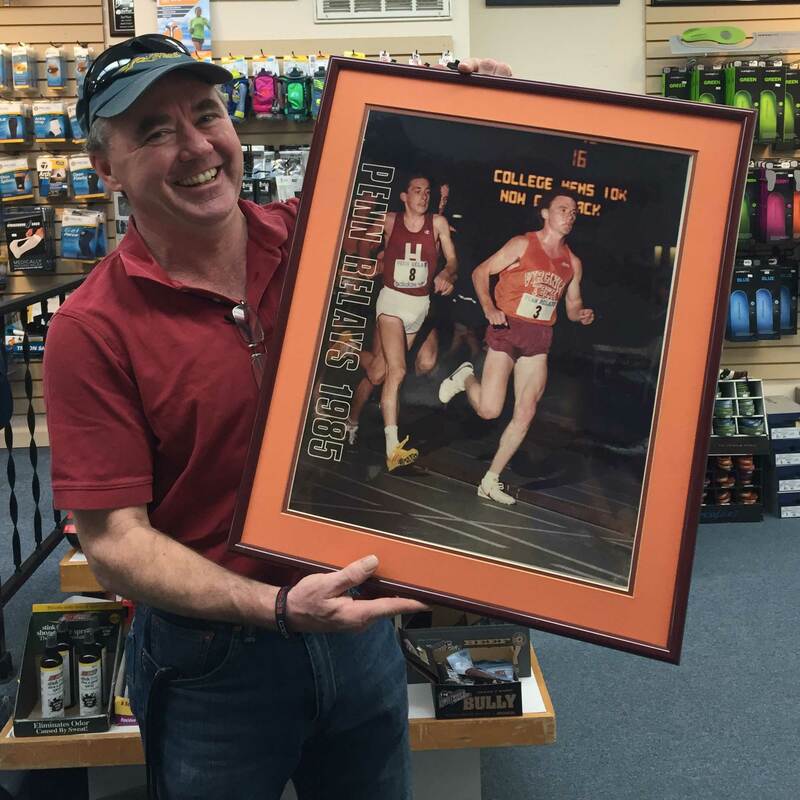 A local boy who grew up in Strasburg, Mark knew that the northern Shenandoah Valley running community needed a place where they could find answers to their running questions, not just the newest pair of shoes to buy. So, with a shoe-string budget for rent and merchandise, Mark first opened Runners’ Retreat’s doors in June 2002. Things have changed a lot since then. Mark has less hair, for instance, and the shoes look pretty different. But some things have stayed the same: Mark loves to run and he loves sharing his passion with you. Mark qualified to the Olympic Trials three times in both the 10,000 meter and the marathon. He made four US Cross County teams. In 1988, he won the USA Half Marathon Championship. As of 2013, his half marathon times still stand in the US top 50. His fastest half marathon time is 62:19 (which means he ran 4:45 per mile for 13.1 miles!). His fastest marathon time is 2:17 (or, 5:15 per mile for 26.2 miles). Mark was inducted into the Virginia Tech Hall of Fame in 2005. His 10,000 meter school record, set in 1984, still stands there. If you ask Mark about his running now, he’ll probably tell you about his kids who currently run for their school teams. But if you have a few minutes and want to hear about running from a true legend, ask Mark what happened in 1984. I came in looking for a pair of shoes to race a half marathon in. Mark was incredibly helpful and watched me run down the walking mall in several pairs of shoes to see which kind would work best for me. We eventually determined the Asics DS Gel Trainer 21 would be my best bet. My size wasn’t in stock (thanks big feet), but Mark ordered it and it arrived within days. The shoe was perfect for my race – it was lighter than my normal trainers but had just enough support to get me to the finish. I will definitely be coming back whenever I need new shoes. At Runners’ Retreat, we work to curate the best products for your fitness activities. Here’s a few of the awesome brands we carry!